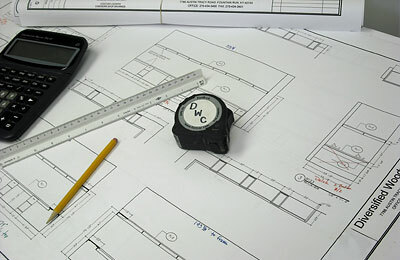 Diversified takes pride in every project we do, whether designed in-house or by an architectural firm. We work directly with the customer from start to finish, offering our professional opinion along the way, ensuring that the end result is custom, efficient and specific to their needs. We take time to discuss each customer’s wants and needs, delivering a product that is both unique and functional. Our skilled craftsmen pay close attention to even the smallest details, creating character you won’t find in mass-produced work.